Mark Hopking, 2 x holiday apartments, plus large family House. St. Benedict’s Abbey, Fort Augustus, Inverness, Highland. 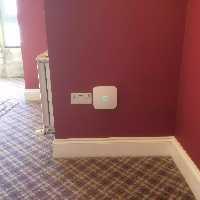 Our task here was to design and install high performance WiFi for two beautiful high quality Highland Apartments inside the beautifully converted Fort Augustus Highland Abbey, with extensive outside balcony areas, coupled to also preconfiguring a complete self-install WiFi kit for another Apartment property in Gloucestershire. Site survey, showed that both Highland Apartments struggled with WiFi due mainly to substantial granite walls and concrete floors. 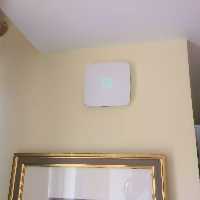 During the survey it was established that high performance CAT6 cabling had been strategically installed which helped greatly and showed excellent pre-planning by Mark, so various WiFi options and Access Point placements where tested and it was decided that the first Apartment required 4x Momentum Enhanced Access Points and the second Apartment 3x Access Points. 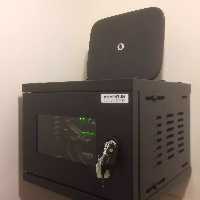 The Gloucester Apartment required 4x Access Points. Gordon and Robbie from Momentum Tech Solutions Highland have just provided Wi-Fi for our three apartments. These WiFi systems provides our guests with comprehensive WiFi throught each apartment.